High Quality Content by WIKIPEDIA articles! XYZnetworks owns, operates and distributes eleven subscription television channels in Australia. 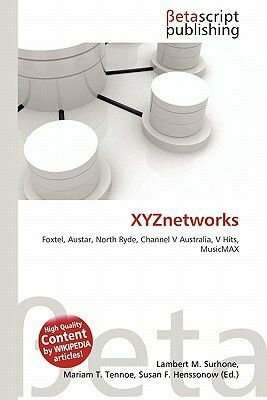 XYZnetworks is jointly owned by Foxtel and Austar. Based in Sydney, they have 170 employees, with offices in North Ryde. XYZnetworks also operates the Australian versions of The Weather Channel, Discovery Channel, Nickelodeon and Nick Jr., with the brandings used under license from their American counterparts. XYZ formally operated Arena until October 1, 2007, when it became a channel wholly-owned by Foxtel. XYZ produces 1500 hours of local programming annually, more than any other television company in Australia. Foxtel is an Australian pay television company, operating both cable and direct broadcast satellite television services. It is formed on October 1995 through a joint venture established between Telstra, News Corporation and Consolidated Media Holdings.